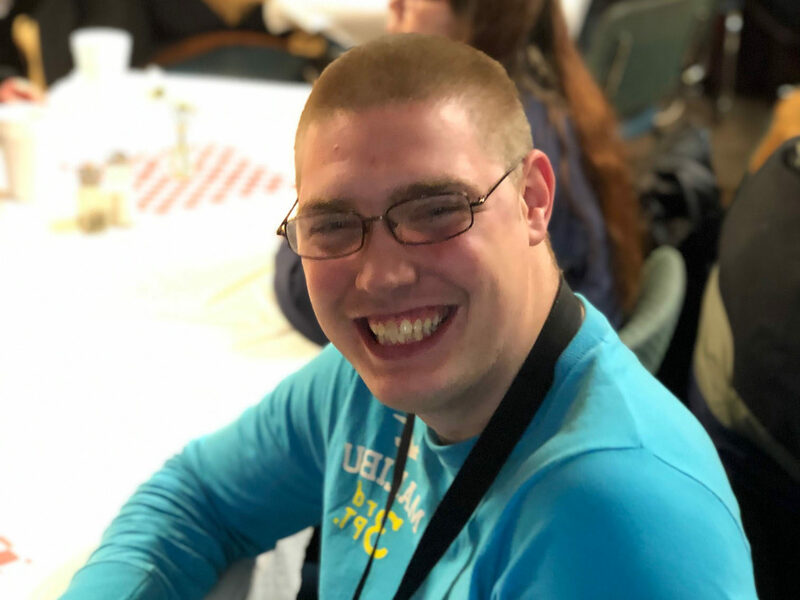 Midland’s Open Door has a rich history as a ministry committed to meeting people in their moment of need and transitioning them from a point of crisis to a posture of hope. This has been done, primarily, through the proclamation of the Gospel and by meeting basic needs through the practice of biblical hospitality. Notwithstanding this faithful commitment, it is our desire to move beyond basic charity and to walk with each man, women and child God brings to our door, teaching and modeling how to enjoy God, serve others and live godly, interdependent lives. A pastor and two layman begin a street outreach and coffeehouse ministry for young adults on Friday evenings. The group secured a rental house on Rodd Street and called the ministry The Open Door. The ministry is incorporated as a 501(c)3, under the name The Open Door Youth Outreach of Midland. The ministry moves to 120 Benson Street, formerly Shorty’s Pool Hall and Card Room, continuing to operate a coffeehouse ministry on the weekends. The ministry also begins weekly outreach into the Midland County Jail and begins offering short-term shelter to homeless men. 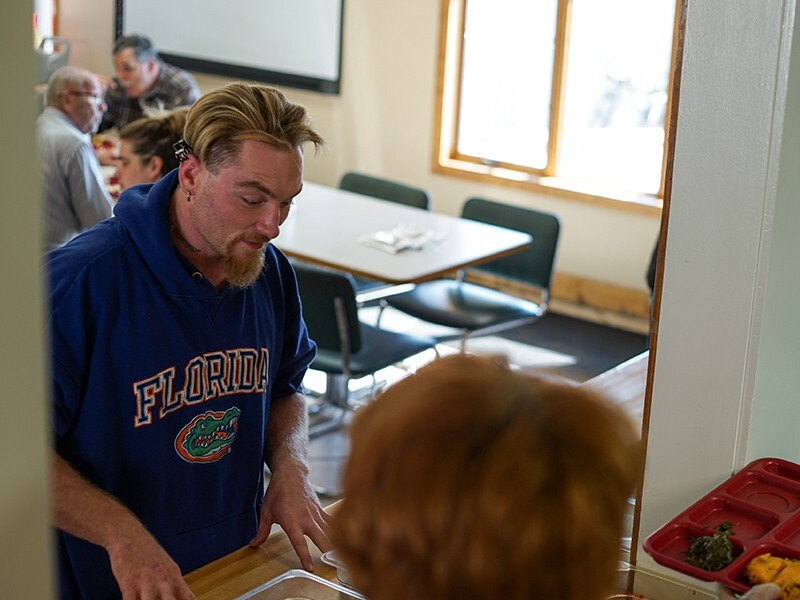 The ministry moves to 412 W Buttles Street and begins a community soup kitchen, serving a noon meal, Monday through Saturday. The ministry purchases 409 W Indian Street, opening a homeless shelter for women and children. The ministry purchases property on E Chippewa River Road and move the women and children to this new location, designated as the House of Mercy. A clothing assistance program is officially organized. Restoration House, a long-term program for returning citizens, is launched in the 409 W Indian Street building. 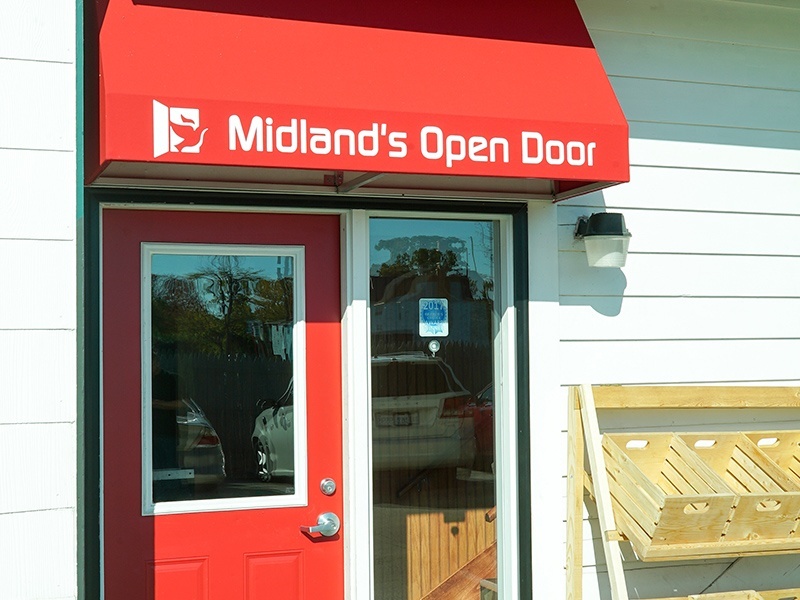 New branding as Midland’s Open Door. 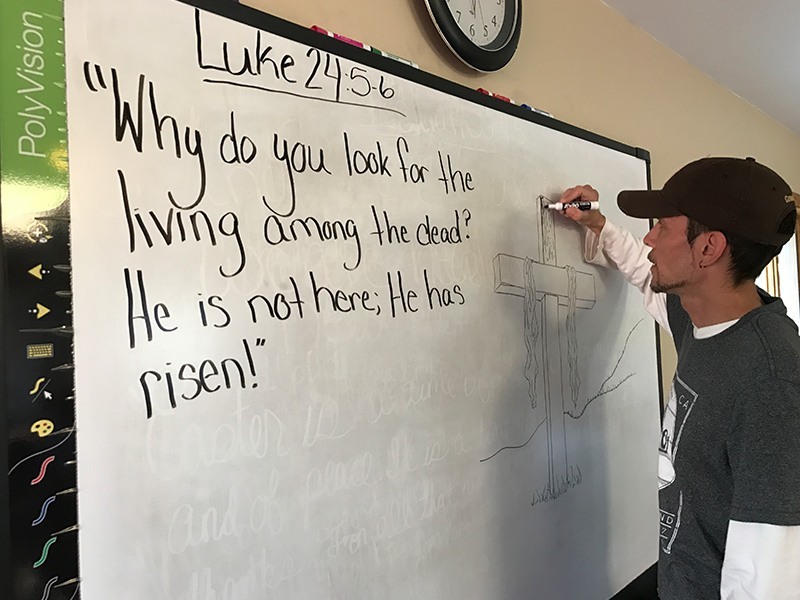 The ministry adopts a newly focused mission and ministry model that includes providing professional services such as case management and counseling with a desire to see individual lives transformed by the gospel of Christ.